Starring: Lora Burke, Jack Foley, Elitsa Bako, Rachel VanDuzer, Steve Kasan, Sam White, Bill Oberst Jr.
A woman (Elitsa Bako) wakes in bed next to a female corpse that appears to be that of her identical twin. Passing a mirror, she stops and peruses her body, as though seeing it for the first time. In voiceover, the woman tells us some ambiguous details about her daily routine, but oddly, the voiceover is a male voice (Bill Oberst Jr.'s dulcet drawl evoking Billy Bob Thornton). 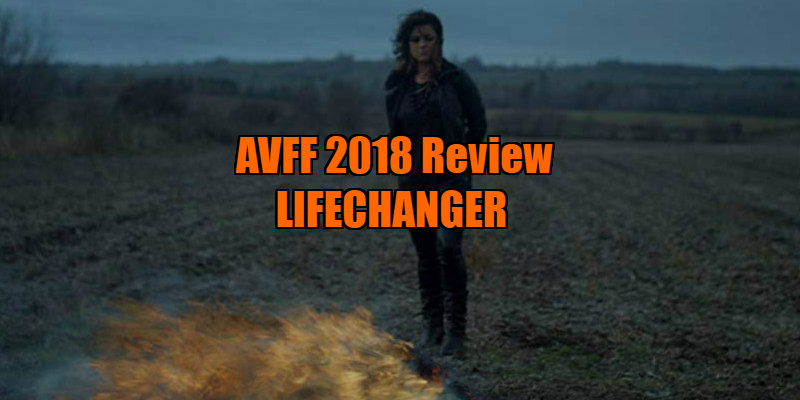 After chopping up her identical corpse, the woman, Emily, takes the remains in black plastic bags to a remote farmhouse where she burns the evidence. When Emily returns home, her boyfriend (Adam Buller) is irate - she's been missing for four days and the police are on the case. As the man rants, Emily shuts him up by plunging a corkscrew into his throat, repeating the corpse disposal routine we witnessed earlier. When an investigating cop, Detective Ransone (Steve Kasan), arrives to question Emily, he becomes her latest victim, but now the odd ramblings of the voiceover begin to make sense as Emily awakens once again, now inhabiting the body of Ransone, whose life-drained husk of a corpse lies flopped on the sofa. It's off to the farmhouse again as our murderous protagonist, known as 'Drew', adjusts to life in a new body, the latest of many he's inhabited over the decades. Once, Drew could spend extended periods in a single body, but as he's now aging, he needs to regenerate on a more regular basis, his body providing warning signs in the form of black bruises on his skin. As the melancholy voiceover tells us, there's been one constant in Drew's life - Julia (Lora Burke), the wife of a man whose body he once resided in. Having fallen in love with Julia, Drew was forced to walk out on her when his time in her husband's body reached its sell by date. 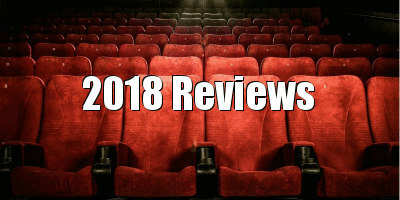 Since then, Julia has spent her time struggling from the dual tragedy of her child's death and her husband's disappearance, and now spends her evenings propping up the bar at a quiet local establishment. In his various guises, Drew has spent his evenings at the bar, attempting to reconnect with the women he loves, and as he begins to suspect his time may be limited, he attempts to bring himself to confess the truth to Julia. Over the course of writer/director Justin McConnell's film, Drew finds himself in a variety of guises, and it's testament to the strength of the ensemble that no matter which actor happens to be playing the protagonist at any given time, we always feel like we're watching a consistent character, as though they're glove puppets shared by a single hand. Particularly impressive are Sam White as a would-be adulterous dentist, Rachel VanDuzer as the object of his unwanted attentions, and Jack Foley as a bearded hipster. The glue that holds it all together is Burke as Julia, the actress's charming presence instantly convincing us why, of all the oblivious spouses and girlfriends Drew's unique circumstances must have paired him with over the years, she is the one that keeps drawing him back. As creepy as the whole situation is, we can't help but feel sympathy towards Drew. He's a classic tortured movie monster, a victim of circumstances beyond his control, and though we know it can't possibly end well, we find ourselves rooting for him to somehow reconnect with Julia. 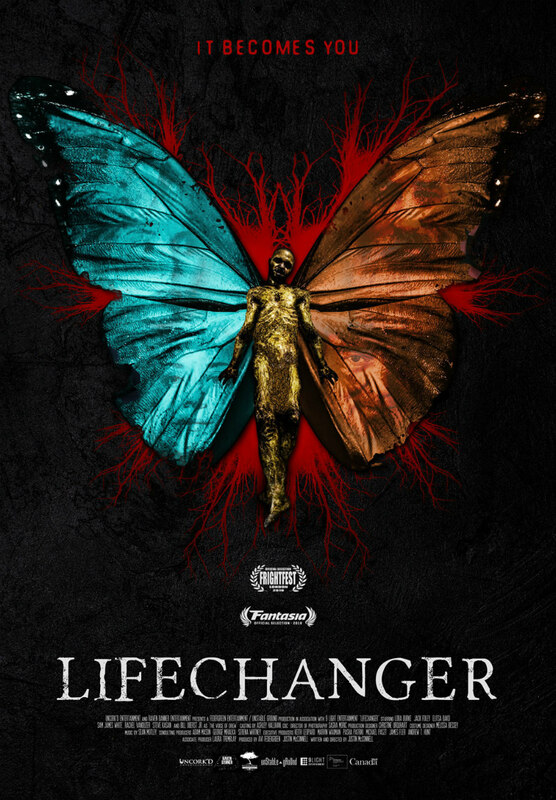 Like most good monster movies, Lifechanger is essentially a tragedy, Drew's tortured soul an ancestor of Quasimodo, pining for an Esmerelda he can never really have. It's the latest North American indie horror that, like Beyond the Gates and Sequence Break, isn't concerned so much with being scary as being sad, soulful and even sweet, and it may make you question the various guises you adopt to negotiate your own way through life. Chicken soup for the horror fan's soul. Lifechanger is on Digital March 11th.